As we age increasingly, our level of engagement to being physically healthy should be too. This is important as our body functioning slowly decline. We may experience physical difficulties and a lot of muscle pain that can hinder our way of life negatively. With that, a good commitment to habitual exercising should be observed. This activity is important as it does not only build our physical well-being but it too caters our psychological and social welfare. Grab the opportunity to take a stroll in the park or walk from the house. This habit enables to boost our muscle strength particularly the thighs and legs. Aside from that, it too increases our balance and coordination. It also strengthens our bones to withstand brittleness. Sign-up in the nearest aerobics center and experience the great benefits it brings. Aerobic exercises are sets of work-out routines that open us to cardio-related activities that promote a good pump of blood inside our body, making our heart healthy. It does not only try to target our respective flexibility but also, it promotes good posture and proper breathing. It too increases endurance and joint functioning. With new innovative ways at present to maintain physical mobility, water activities like aqua Zumba, aqua jogging, and the likes have been widely accepted by most individuals. 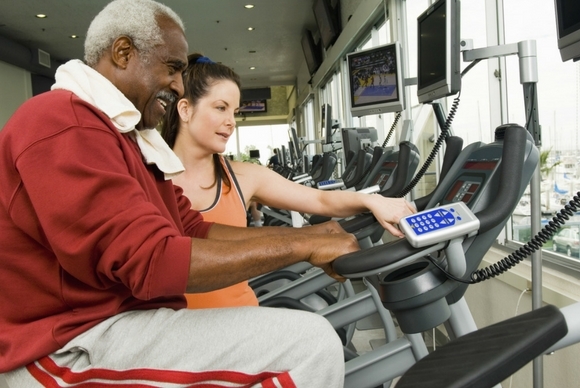 These activities target our stamina and enhance our heart health well. Aside from that, it too addresses common health diseases like arthritis, hypertension, and other cardiovascular conditions. If the aforementioned activities seem difficult to accomplish, we can always start with the basics by jogging at least once a day. Like brisk walking, it improves muscle growth and burns out excess calories. It too enhances our cardiovascular system and promotes the release of endorphins that can lead to good psychological well-being. Lastly, sports can be a great way to channel and strengthen our physical abilities. We can always try sports that suit our respective preferences like that of golf, polo, triathlon, and the likes. Engaging in sports also brings the same benefits similar to when we engage in fitness- related activities. The only difference is that sports bring different ways to keep us active and energetic. It is usually not routinary and it encourages a good integration of our mind and body. Together, let us help ourselves to stay active and continue to become a healthy and responsible senior! As a provider of Non-Medical Home Care in VA, OptimumCare Home Care Services is here to bring the best services tailored to help us and our loved ones in the comfort our respective homes! We offer Non-Medical Home Care in Opitz Boulevard Woodbridge VA like Companionship, Personal Care, Meal Preparation, and a whole lot more. Contact us now at 703-490-8003 for more information or check out our website at www.optimumcarehomecare.com to know about our other services offered.